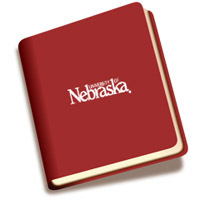 "Nebraska Child Care Workforce and Quality: Summary Policy Brief #7" by Kathy Thornburg, Helen Raikes et al. The study showed the average child care provider in Nebraska is female, married and a parent. This provider had some training or education beyond high school but not an advanced degree, was active in child care training, had a First Aid/CPR certificate, considered child care her profession or calling, had been in the child care field for over 5 years and planned to remain a provider. The average provider was observed to provide minimal quality child care. In Nebraska, using well-established observational measures of quality, center-based preschool care averaged 4.16 on the Early Childhood Environment Rating Scale (ECERS-R); 4.49 on the Infant Toddler Environment Rating Scale (ITERS); and family child care averaged 4.46 on the Family Day Care Rating Scale (FDCRS). A “5” is considered “good” quality. There was great variability across all types of care. · Family child care quality was higher in Nebraska and Missouri than in Iowa and Kansas. · Providers in Early Head Start/Head Start partnerships offered higher quality care and received more training than other child care providers. Nebraska like two other states invested training funds to enable Early Head Start/Head Start programs to partner with programs to follow the Head Start Performance Standards and these partnerships did appear to result in higher quality than average.